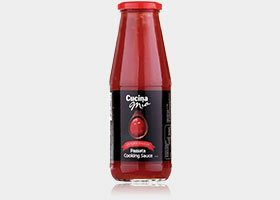 Cucina Mia® Passata Cooking Sauce is naturally low in fat, 99% fat free and contains no artificial colours, flavours or added preservatives. A traditional Italian produced product, Cucina Mia® Passata Cooking Sauce is made from quality Italian grown tomatoes, perfect for every Italian feast. 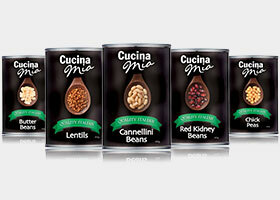 in fibre, 99% fat free and have no artificial colours, flavours or added preservatives. 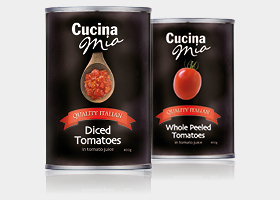 ring pull cans, Cucina Mia® Tinned Roma Tomatoes are available diced and whole peeled.